When you’re travelling, you would like to experience only the best things of a place. Things can get expensive but still travellers cannot miss a chance of savouring the true flavour of the place they are travelling to. One such massive tourist destination is Singapore. Not only the city offers some of the most breathtaking experiences but they all come at a hefty cost. It’s easy to end up piling up your credit card bill, if you are not careful. So you better plan accordingly. The best way to save some money in Singapore and also have limitless fun at the same time is to figure out the places within the city that won’t hurt your wallet. This is especially true if you’re in Bukit Timah. As you know, this locality happens to be one of the most densely populated private residential areas in the city. As expected, the price of nearly everything is higher than you can expect. To make the task of choice easier for you, we have brought forward a list of inexpensive cafes that you might want to visit. The food served here are not only amazingly delicious but it’s also light to your pocket. Enjoy the list. The theme of this particular café is all set to blow your mind, especially if you are a sea enthusiast. Atlas Coffeehouse presents its dishes in such a thrilling manner that you might get some inspiration for your next Instagram feed. Among the most popular dishes served at the café include ‘Salmon Soba Noodles’ that costs only $18 and ‘Creamy Mushrooms on sourdough’, which comes for $14. But if you have the appetite and time to experiment some more, you should give the ‘Atlas Superbowl’ a try. This particular dish is filled with eggplant, roasted quinoa, mushrooms, crispy kale, cherry tomatoes, and roasted rosemary chicken as well as butter corn. That’s too much food for $18 we guess. 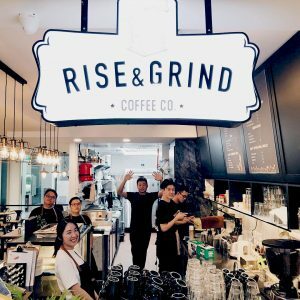 Alongside Bukit Timah Road, right at the Crown Center, you shall be able to locate this amazing café at Bukit Timah. What’s more interesting about this bakery is that they serve all kinds of artisanal bread preparations without adding any artificial ingredients in the form of flavours, preservatives or colours. They make their brad out of entirely organic ingredients, which make them one of the hottest eating destinations around Bukit Timah. Crown Bakery is an expert blender of Japanese baking and European bread styles. Here, you can get artisanal breads for as low as $3. If you are looking for a café that serves a diverse menu, KARA is the place to be. Currently, they serve a mix of Japanese, Thai, Mexican, Korean as well as healthy dishes based on Los Angeles cuisine that includes quinoa and kale. If you’re lucky to get a seat here, make sure that you try the Pork Belly Miso Bowl and Smoked Bacon Blues Toastie, for $16 and $15, respectively. Other popular dishes include Coco Cashew Pomelo Bowl and Okonomiyaki Truffle Tots. So that you have already decided to invest in digital signage, it’s important to plan your campaign ahead of time, with aim of standing out. You may have already signed up, purchased the displays, and might have even started working on content. Your masterpiece is all set to go live for the world to see. However, it seems like you’re not at all thrilled with your content, and maybe you are looking for ideas that can help you reach that finishing lunch line. Of course, you wish to improve your brand engagement. This is only possible when you communicate your company aims and values with your audience. Standing out from your competition should be your priority. Fortunately, we have compiled some content ideas for your digital signage. Kindly remember that all these ideas might not be relevant to your industry. However, implementing some of these ideas can improve your campaign’s effectiveness, significantly. With the digital out of home advertising platform becoming more advanced every day, you should start utilizing its potential. Displaying testimonials received from your existing clients can be the best mean of building trust, showing proof of excellence and strengthening your brand’s personality. Testimonials not only helps in promoting your service or product, but they can help you build credibility; contributing towards a firm business presence. To add credibility, you might want to add photos of individual clients while displaying their comments for your company. Anyone who has been roaming out on streets needs to be aware of weather fluctuations. Showing weather reports can be the perfect way of engaging with your audience by inspiring them to spend more time with your digital signage kiosk. Remember that your brand visibility depends on how long they are spending time with your interactive display. Your contest is successful as long as you are receiving entries. It’s always better to spread the word out to the more people so that they can know about your contest. 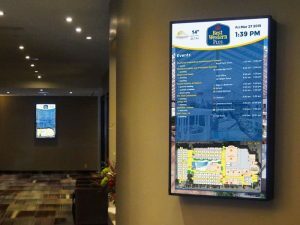 You may want to advertise your contest and display rules, and other lucrative deals throughout your digital signage network. This will give more people the chance of entering the contest and win. In case you’re operating a restaurant or a cafe, it might be the best option for you to show recipes along with some breathtaking photos and a list of instructions on cooking the same at home. It’s always better to open up the appetite of your audience, and manipulate them to visit your place. Showcasing your business property, and communicating about all your new developments, exciting events, etc. along with a load of pictures organized in a slideshow, shall do the trick for you. Also, remember to update these photos more often, and you will never fall short of new ways of catching the attention of your audience. Posted on November 16, 2018 November 16, 2018 Categories Business ServicesLeave a comment on Confused about what to show on your digital signage kiosk? Here are top 5 suggestions to get your feet wet! When it comes to making the changes in your home, the most important thing that matters is the interiors. There are a lot many things that you can add to the interiors of your house for providing it that perfect look. The only thing that matters is to hire a professional that will be able to offer you the best services of changing the interiors of your house. 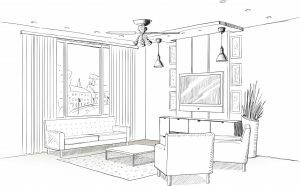 There are some of the best interior design firms in Singapore, depending on your requirements and budget, you can easily hire the professional that suits you the best. Most of the professionals have their websites listed on the online platform which makes it easy for you to go through the services that are provided by a particular company. The excellent part about changing the interiors of your house is that it gives you the pleasure of living in your dream home. An interiors designer is not only aware of the things that will help in improving the aesthetics of your house but a professional is also well aware of the ways that will help you in utilizing the space of your house in a better manner. You can easily hire the best Interior Design Singapore, with so many expert professionals available in the country; it is easy to get your house completely changed in an easy manner. A professional can certainly make all the necessary changes in your house along with adding all things that you want to have in the interiors of your house. With the help of an interior designer, you can change the way your house looks and the designers are also well aware of the things that they need to take out from your house to provide it that perfect look. What to look forward to while planning to change the interiors of your house? The most important thing that matters is the experience of a professional; you should look to hire an interior designer who has good years of experience in the field. By hiring a company that has the right expertise will surely help to get the best of the work. 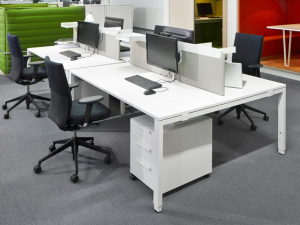 You can also assess the work that has been done by a particular professional in the past. This will surely give you a better idea of the kind of creativity that you can get in the interiors of your house with the assistance of a professional. You should also prefer to spend some time on the online platform as this will give you a huge number of ideas that you can come up with while changing the interiors of your house. Adding your own creativity is really a good idea. Reviews and testimonies on the online platform also prove a great help, look for a company that has good reviews on the internet, this will surely help you to learn from the experience of other people who have already taken the services of an interior designer. Buying a commercial prime mover is one of the most commercial decisions made by any business. Every company has a certain budget and hence it is important to find the best prime mover deals for maximum growth and productivity of the business. Here is how you should look for the best prime mover Singapore to meet your business needs. Before you decide to make a purchase of the prime mover, you should first understand your business needs and plan to make a purchase according to your budget. There is no point in buying a discounted prime mover if it would not be able to match your needs five years down the line. Choose to buy prime mover Singapore at affordable rates which will suit your needs in the future as well. You should buy the prime movers at the most reasonable rates. Instead of paying a huge amount for a single commercial vehicle you can choose to lease your commercial vehicle. 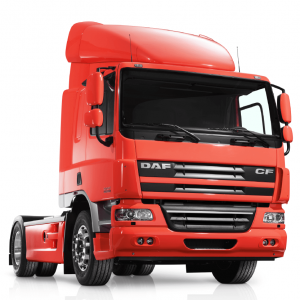 Lease your prime mover Singapore at the least interest and initial payment. This will make you save money for your primary business needs and goals and you would be able to make a purchase of more than one prime mover at a time and expand your business. Most companies buy new trucks and trailers from the nearby shops and end up drowning in the loss. Well, yes you need to see the truck before you make a purchase but you can find a plethora of truck options online. You can broaden your search by going online. You can find the best and most affordable deals going on while looking for trucks online. When you find the best vendors you can go to the dealers and take a test drive, negotiate pricing and make a quick and smart purchase. There are greater opportunities for making a good purchase while surfing the prime mover options online. Buy the best commercial prime mover Singapore at affordable rates. There is a plethora of prime mover available online. You should not take much time in making the final decision. Once you find the prime mover is matching your business needs and rates are fine you should immediately opt for making deals. A delay in making deals can lead someone else to grab the opportunity. Well, the time you feel that your last prime mover needs to be replaced you should start your research. A delay can lead you to miss good opportunities and even hamper your business performance. You should shop smart and negotiate the prices before you finalize the deal. Keep in mind a few factors before you make the final deal. Choose prime mover Singapore which is best in quality and fulfills all your business needs at affordable rates. Purchasing a good prime mover Singapore can give a boost to your business. We all know that with the help of online platform, it has now become easy for people to shop things online; this is the reason why we find hardly any company which does not have a strong presence on the web design. You will easily find companies who do the marketing and advertising of their business through this platform and they are growing in their businesses in leaps and bounds. If you are also planning to get a strong presence on this platform, then this piece of writing is a must read for you. No doubt that having a website is a necessity in today’s time, however it is also very necessary to have a website which easily catches the eyeballs from users. A website is actually considered as the soul of a company, thus by ensuring your good online presence on this platform, you can ensure to increase your clientele and good on the web. The common mistakes which most of the business owners make are that they don’t give any attention to their website once it is developed, this can actually lose them a huge number of clients. 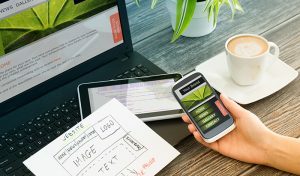 To have a website which will help you to grow your business, there are some of the points which you have to assess so that your website will help you generate profits in your business. Use of slides: You must have noticed that a website which provides the option of slides, never fails to catch our attention. Thus, if you want to make your website easy to understand then you can always use slides to make it comprehensive and attractive as well. There are various options which are available in slides and you can easily choose the ones which suit your requirement the most. Use of the latest trends: It is always recommended for you to be up-to-date with the recent trends in websites, for this purpose you can research on the online platform to know about the changes which generally happen in website designing, this will help you with various options and idea and at the end you can easily choose the option which suits your needs the best. Add creativity: Illustrations and designs always prove a great help in web designing, this is the reason why it is always recommended to add various illustrations which compliment your products and services. Adding creativity to your website will surely help you to catch more eyeballs. Discuss your expectations: It is always considered as a good idea to speak to your web designer and share your expectations related to the website, this will also give him the clear idea that what kind of web designing you want. So, if you are also looking to have a strong presence on the internet, then these points will surely prove a great help to you. Logistics and DG cargo delivery currently represent essential services for the daily functioning of every society and its economic gears. This has happened after the appearance of economic relocation and globalization that, every day, increases global communication and interdependence between different countries of the world, uniting their markets, societies, and cultures. This is where transportation comes into play as a key element, since, as an example of the most illustrative, only 90% of the products used every day in the daily life of people or the cities are transported by sea. Nowadays there are all kinds of means of transport for each type of company, product or need. That is why the selection criteria of one type of medium or another will depend on the factors of each shipment. Even so, the most influential for Logistics services is, without doubt, the cost of transportation. Other variables to take into account are usually the speed or delivery times, the type of product, the distance, economic and environmental efficiency, the safety of transport or the precision of the different ways of moving the goods, among many others. Next, we will develop the most common means of transport, as well as their general characteristics. It includes both the transfer by road with trucks or another type of vehicle as well as the railroad. It is the most versatile means of transport of all those that exist because its capacity of personalization is very high, being able to transport all kinds of merchandise as well as having ample options to configure the distribution, as, the “door to door” distribution. In addition, it is a quick and affordable method, especially when the distance is not excessive. The rail covers a greater distance than the road and is usually employed by factories in the primary sector as it needs high investment and transports large amounts of merchandise, generally in bulk. The maritime transport is the most used for international shipments, since it is capable of hosting large quantities of merchandise and, therefore, is a very cheap way to transport all kinds of products: in containers, in bulk, etc. For its part, the waterway is a method commonly used in national distributions, given its speed and safety. The transfer of merchandise by air is the fastest way to haul products, although its price is not comparable with other methods such as the sea or the road. However, if we look at the speed-cost relationship, it is an exciting option for companies. Although initially, it was a transport designed for the movement of people, advances in aeronautics (larger aircraft with more cargo capacity, etc.) and, especially, the appearance of the container TEU allowed to transport goods competitively. It is the means par excellence for the transport of warlike or military merchandise, and of merchandise that, by their perishable character, need to move quickly. Although it is not a means of transportation itself, it is increasingly an option used by logistics firms for international shipments. This type of carrier adds at least two different means of transport, but with the same groupage of cargo, increasing the speed of transport and the security of the goods. Scarce resources, storage devices, expensive goods and talented staff have led many companies to seek safer hosting solution. Web hosting is the best concept when it comes to managing businesses and properly utilizing their resources. It also encourages business continuity initiatives as well as disaster recovery programs. Many web hosting in Singapore companies opt for simple website hosting programs to hosting cloud hosting. Both are very important for businesses and business owners can take advantage of content management, business alignment resources, assistance accessing backup and recovery, and complete. Leveraging hosting programs to meet and exceed business continuity needs is the most important thing for growing businesses today. In fact, it is the biggest challenge at the forefront of the expansion of business empires. There are many service providers that offer fully functional housing programs and resources that are useful in managing large number of online resources (web pages). If you are a business owner running an extensive website that has great weight of content, you have to go for managed hosting. You need to consult a hosting provider who will be able to host your website, its content and other resources. 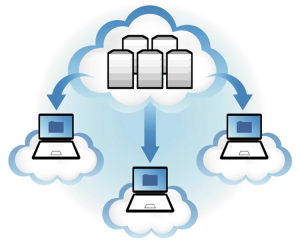 The hosting provider will offer many clear advantages to you. Strong bandwidth as well as storage space will help you in managing your assets online. Web hosting in Singapore offers great bandwidth and additional storage space to split your resources. Many web site owners who are not aware of the services they provide such as guaranteed uptime, customer support, technical assistance, multiple serving, easy set up, Tools for webmasters and free software. However, businesses can rely on high-end routers, and firewalls without hidden charges. Many web hosting service providers advise website owners to have the most beneficial service according to their needs. Website owners also want more server space so that they can manage their websites. Service providers facilitate business owners in the shopping account, account setup and management. They also handle large databases of support and exclusive assistance. Service providers usually offer better web hosting services to entrepreneurs so they can manage their information in real time, web infrastructure and other online resources. This makes them show their global presence in the professional way of affecting their profits helps. There are plenty of website hosting service providers that offer hosting as well as reputed register domain services round the clock. These services offer excellent support, quick response, high uptime, greater bandwidth and web hosting solutions in different format including shared hosting, dedicated hosting, VPN and cloud options. Evaluating data transfer speed and disk space capacity is a valuable step that needs to be examined before selecting a web hosting provider. Disk space capacity must be aligned with business needs, and so is data transfer speed where speed matters a lot. Being low on either one could hinder business prospects and therefore, you should never compromise with them. Buy or rent? That is the question. By pulling you home we number some reasons to opt for the rental of photographic material. As always, but the last word is yours! This is the clearest advantage of renting. As we all know, the photographic material is very expensive. Very few pockets have the ability to purchase that perfect lens or that incredible ultimate camera. If selling a kidney is not an option, renting Singapore photography studio may be the solution to use quality material at a good price. 2. Is it what I need? The technology you cannot try it and that is a big problem: we have to be guided by the manufacturer’s specifications. We can find reviews online of other users, but we do not know to what extent our experiences are comparable. The best, without a doubt, is to try things out for ourselves. 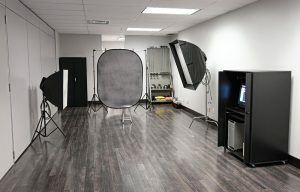 By Singapore photography studio rental, we can verify that the material conforms to our needs. If we like it, we can always buy it later. As we have said, the material is expensive. In addition, this is becoming more accentuated as we try to improve the quality of our images. To have the best material possible at an affordable price, renting is the best option. 4. Do you work far? Save shipping costs. Even if you have a great team, moving it to other points in the geography can be very expensive. For this reason, many photographers choose to rent the material in the same place where they go to work. 5. Worry about what you need to use, not whether you will write it off. The price of the material causes us to reflect before buying. If you want to experiment with lenses, cameras, different lighting you do not have to worry. Rent what you need and just enjoy the experience. 6. Do you urge? Use it. Get the material quickly, the moment you prefer without having to worry about anything else. 7. Seize the time. Plan. Renting the material you need for several days requires planning. This may seem like a problem to the more disorganized, but it can serve as a motivation to meet the deadlines. Get cover all your interests. The team should not limit the projects you accept or start planning. Usually the sessions take place in a space of 4 or more meters wide and a minimum of 5 meters in front of them. In this way we make sure that in that space there is only the scenery or the frame that we are going to portray and there is not any element that hinders the performance of the session. It is also very important the height of the study, because it is necessary to take into account that our material is going to be composed of spotlights, umbrellas, high tripods, etc. So we must be able to fully deploy the material without problems. Thus, the higher the roof, the more possibilities it will allow. With this, we must find a space for your photography studio in which, in addition to that space we can place the rest of the material.